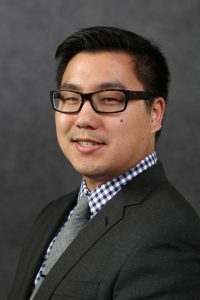 Lawrence Lin earned his Bachelor of Arts in Economics at Pomona College in Claremont, California, his Master of Science in Chemistry at California State University Fullerton, and his Juris Doctor from the University of California, Davis School of Law. Prior to Wade Law Offices, Lawrence practiced trust and estates law, business law, and general litigation in Orange County and Los Angeles County, before moving up to Stanislaus County and then Sacramento County, and finally, Placer County. At Wade Law Offices, Lawrence continues to help clients through the intricacies of estate planning, probate administration, and trust administration. Lawrence was born in St. Louis, Missouri, but was raised in Southern California, before moving to the Central Valley and then Northern California. In his spare time, Lawrence enjoys exploring new areas; trying new foods; reading about advances in technology; cheering on the Lakers and Rams; and hiking with his fiancée, Iris, and very good Corgi, Tonkatsu.